Accutane is a brand of acne-treating medication. It contains a potent and highly active chemical Isotretinoin. It is available as oral capsules. Doctors prescribe this to treat a severe form of acne. In this case, they were unresponsive to other treatments including some antibiotics. They call it cystic acne or nodular acne. In fact, Isotretinoin occurs naturally in the human body. It is very much like Vitamin A and belongs to a group of chemicals known as “retinoids”. What are the Risks of Accutane Use? How to Take Accutane in a Proper Manner? It helps to reduce the production of oil. It does this by inducing controlled death of the cells that secrete oils in the skin. They call this process Apoptosis. Moreover, it exhibits some degrees of activity against the acne-causing bacteria Propionibacterium acnes. It hastens the cell renewal process. That way, it helps to clear even the most severe acne. Finally, it causes a reduction in the size of the outbreaks. It does it by using its anti-inflammatory properties. As a matter of fact, two million users who have benefitted from Accutane. As a result, it speaks volumes about its effectiveness. Almost half of the patients taking Accutane have obtained a complete resolution. By the way, the prices for Accutane are not affordable for all, so it is better to explore. Is Accutane Safe? What Are The Risks? Before using it, you will need to sign an agreement as an evidence of your acceptance of the risks in case they occur. They call this iPLEDGE program. Considering this, your concern about its safety is understandable. In addition, there are a lot of side effects. Some of them have a potential to be serious. Therefore, it may raise some questions in your mind. However, it is a safe medication when you use it in a proper manner. Know the risks before opting for it. Then, only proceed with the treatment. It is dangerous to use Accutane during pregnancy. The drug use can cause birth defects, the death of the baby or miscarriage. All things considered, you should NOT take it if you are pregnant or planning to conceive. They ask you not to become pregnant one month before or after taking Accutane. In some patients, it may cause some mental conditions. They include depression, psychosis or increase the risk of suicide. Therefore, consult your doctor immediately if you sense anything abnormal during the therapy. Taking a few precautions before, during and after the therapy can cut down almost every risk. Here is what you should do. Read the iPLEDGE form with a lot of care before signing. If you do not understand anything or have a query, ask your doctor or pharmacist. NEVER buy Accutane from online sellers. In fact, you should buy it only from those pharmacies that have registered in the iPLEDGE program. In the same way, only an iPLEDGE-registered doctor can prescribe it. When Not To Use Accutane? 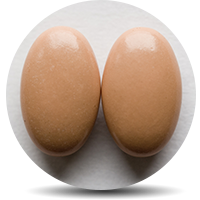 Do not use it if you are allergic to any of the ingredients in the capsule. Follow your doctor’s instructions and NEVER use it in ways other than recommended. Swallow the entire capsule with a tall glass of water. Take it with foods that are very fatty. That way, you may enhance its absorption in the digestive tract. Never break, open or chew the capsule. Have you discovered that you have become pregnant during the therapy? In this case, stop taking it immediately and consult your doctor. Do not take double doses to compensate for the missed dose. Avoid taking Vitamin A supplements while taking it. Furthermore, taking the following precautions can make the side effects less likely. Do not use medicated soaps or harsh cosmetic products in the face. You may talk to your doctor to know which cosmetics are suitable. Use a sunscreen product on the affected areas and avoid exposure to UV rays as much as possible. You may wear protective clothing to reduce the exposure. Ask them about using a lubricating eye drop if you have developed problems with dry eyes. Exercise extra precautions if you have certain pre-existing diseases. They include diabetes, bleeding disorder, liver problems, or weakened immunity. Every medication comes with its own share of good and bad effects. In fact, they prescribe any medication only after assessing the risks and benefits. Moreover, the US FDA approves a medication for marketing. In fact, they will only do it after it has demonstrated certain criteria. This is that significant benefits clearly outweigh the risks. Many people become addicted to Accutane, so there are many drug addiction treatment methods to undergo this problem without a relapse. Nevertheless, your case might be different than others. It is because your body is unique. As a result, your response to a particular medication might be very unique. Therefore, you should understand that you may have different problems than others. In any case, talk to the doctor immediately if anything abnormal happens. It is not only during but shortly after the therapy as well. Also, take care of all these things if anyone you love is taking Accutane. To know more about the risks and benefits of taking Accutane, talk to the experts. They can give an accurate information on your condition and its treatment. Also, it is recommended to know what are the substance abuse treatment centers can help you with addiction.